How has the Good News of Universal Reconciliation Changed Me? I am often asked this question. When asked by those who hold to the view that only a relatively few will be saved, it is usually designed to shame me into admitting that I no longer share the gospel with unbelievers and have lost my evangelistic drive. As mentioned on page 20 of "The Really Good News About God", my motivation to share the gospel has actually increased. I now have a better gospel to share, which is much more exciting and satisfying than the old good news-bad news one, because it's all good news. I now see each person as a creation of God, made in his image, for whom he has a definite, positive purpose. I am no longer stressed when people fail to respond to the gospel, knowing full well that their time will come, either in this age or in a later one, depending on whether God has chosen them as a first fruit or as part of the main harvest. And I now have a greater appreciation of God's love and sovereignty, and, of course, a more accurate and comprehensive understanding of God's purpose for his creation. So, how has the really good news of universal reconciliation changed me? It has given me a better gospel to share and a greater enjoyment in sharing it. As an aside, I guess the thing that surprises me most since receiving this understanding is the lack of determination and urgency in sharing the good news-bad news message by those who are convinced that the majority of their neighbours (and families in many cases) are on the way to "eternal damnation" if they don't "get saved" before they leave this planet. And they are often the first to suggest that I might have lost my drive to share the gospel now that I see that all will be eventually reconciled. Is the Gospel Really Good News? It does not seem to faze these Christians that they gather each Sunday to worship a God of supposed unconditional love who will oversee, even orchestrate, the fearful unending torment of the majority of His creation, the same ones for whom Jesus died. When I try to explain to any of these Christians what the really good news is, I am treated like a heretic who should be burned at the stake. Questions like "You don't really believe God will save people like Hitler, do you?" are designed to put me on the defensive and make me abandon the discussion. And I sometimes do ... until very recently. I now offer my own provocative questions. "You don't really believe a God of love would torture those he loves and created in His image, do you?" "Do you think Jesus was successful when he died for the sins of the world?" "Do you love your children? If one of them disappointed you, would you torture him/her forever?" I have changed from leaving myself open to being attacked to asking those sorts of uncomfortable questions. I now avoid being put on the back foot by a person advancing an unbiblical, traditional church position by advancing the true good news found in the Bible. And what is this good news that the Bible announces? The Bible has a much better "end of all things" than does mainstream Christianity, and I am becoming much more adventurous in sharing this good news. I am often asked, "If everyone is going to be reconciled to God eventually, why bother with evangelism?" Let me offer an answer within the context of God's sovereign choices. 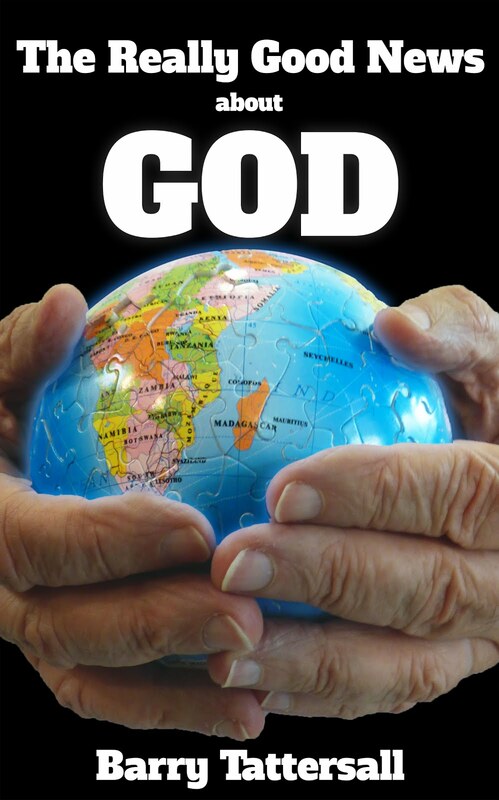 God is the Designer, Creator and Ruler of the universe. As such, He made and makes all the decisions involved in its creation, maintenance and affairs. Unless He chooses to delegate some decisions to us, he makes all the choices - and even the choice to delegate is His. Here are some examples of God's choices. God chose to create the heavens and the earth. God chose to commence the human race with a man, Adam, made in his image, and a woman, Eve, made from that man. God chose Noah, the ark-builder, to save 8 people from the global flood. God chose Abraham to become the father of a new spiritual race. God chose Jacob to be the father of God's special nation, called Israel. God chose Joseph to save Israel from starvation. God chose Moses to free Israel from Egypt. God chose David to be the greatest of the kings of Israel. God chose Solomon to build a most elaborately adorned temple in Jerusalem. God chose Jesus to be the Saviour of the world and Jesus chose to draw all people to himself. However, some of His creation are chosen earlier than others, and for a special purpose. These early-chosen are given belief (faith) and are called believers, disciples, first fruits or the Body Of Christ. And what do they believe? And what is their special purpose? The task of the Body of Christ is to announce this good news - the gospel - to the world: that God has reconciled the world to Himself. (2 Corinthians 5 : 18 - 19). And what happens when they do? Many people will hear this good news and those who have been chosen to join the Body of Christ, to become an early-believer, will be given belief (faith) and will join in this ministry (Acts 13 : 48}. This process will continue until all those who have been chosen to be early believers have heard the gospel and been given faith. At this point, the body of Christ will be complete and the events due to be unfolded at the consummation of the ages will commence - the salvation of Israel (Romans 11 : 25 ff) and the commencement of the millennium kingdom (Revelation 20 : 1 ff), for example. So what is the purpose of evangelism, of announcing the gospel? We are blessed to have been chosen early, but we also have a major responsibility - to preach the gospel so that God can give faith to the not-yet members of the Body of Christ. (Romans 10 : 17). We usually call this activity or ministry evangelism.